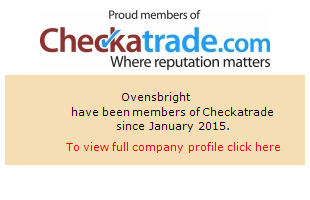 Ovens Bright are a professional family run company with over 20 years experience in the service industry, The one thing that helps set us apart from the competition is that we are not a franchise. We offer a professional oven cleaning service for South London, Surrey and Kent. Our cleaning services are not limited to just ovens, we are also specialist in cleaning, aga cookers, range ovens, hobs, extractor fans, microwaves and BBQ's. Is your oven not as clean as you want it to be? Do you not have enough free hours in your busy life to dedicate to cleaning your oven? Cleaning your oven is a time consuming and demanding job and one of the most unpleasant household chores. 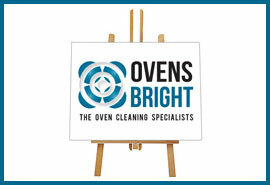 At Ovens Bright we understand this and are professionally trained to carry out the job for you. We offer a self contained and mobile cleaning service. 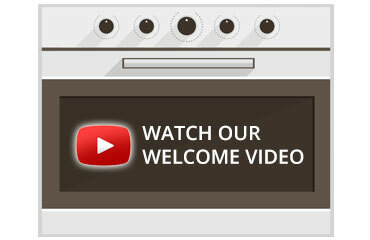 This allows us to visit the location of your appliance and clean it on site. All chemicals used are kept off site and in out of reach of children, allowing you to be rest easily knowing that we take pride in the safety of our customers and their homes. SAFETY AND TRAINING: You can choose Ovens Bright to clean you appliance with confidence as we are fully insured, Gas Safe registered and DBS checked. We aim for 100% satisfaction with every job and have many customer testimonials to prove it. With our unique oven cleaning system we cause minimum disruption and leave no mess. No toxic chemicals are used in your home so it is safe for you, your children and your pets and your oven is ready to use immediately after the clean is finished. WHERE WE COVER: Based in Beckenham we cover the areas surrounding South London, Surrey and Kent, such as Shortlands, Bromley, Chislehurst, Bexley, Sidcup, Farnborough, West Wickham, Coney, Penge, Crystal Palace, Dulwich, Forrest hill, Sydenham, Croydon, Limpsfield, Oxted, Wallington and more. But please cotact us for any additional areas covered. OVEN REPAIR SERVICE: With over 20 years experience as a qualified gas engineers we can carry out all repairs on gas ovens and have a fully qualified electrician to carry out all electrical repairs. We carry a small stock of parts such as bulbs, seals and filters, so can carry out minor repairs during your oven clean. We have compiled a list of what we think are the most common questions that prospective customers would require the answers to before employing us to clean their oven, or extractor fan, or even repair their oven. THE OVEN CLEANING SPECIALISTS Copyright © 2016 Ovens Bright.